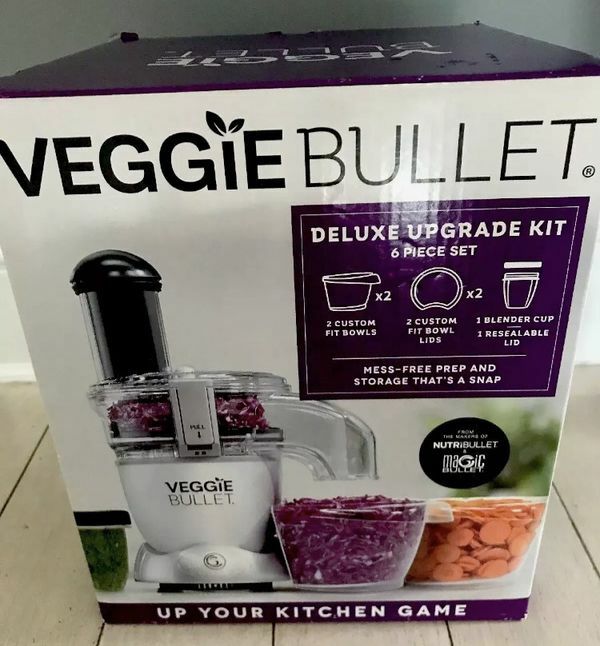 This is a Brand NEW Veggie Bullet Deluxe Upgrade 6 Piece Kit. 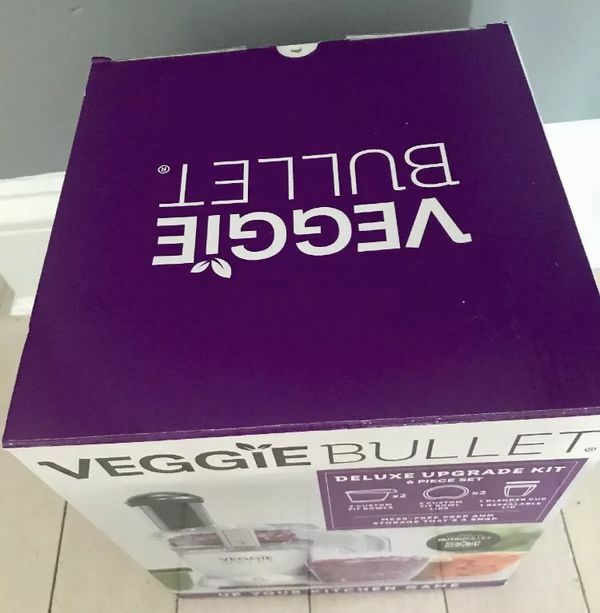 Blender NOT included in this sale. 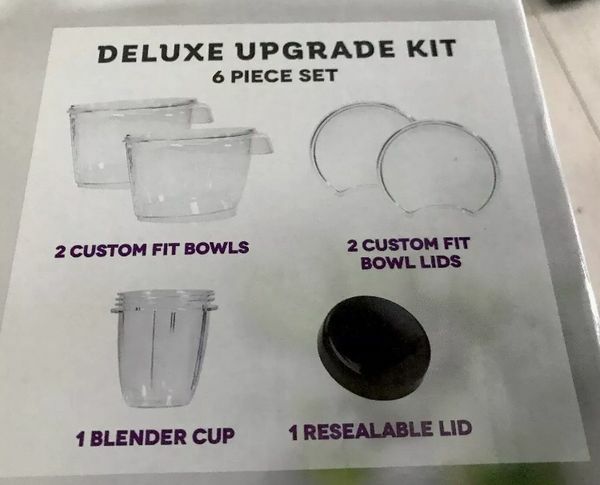 Kit contains 2 custom fit bowls, 1 custom fit cup & 3 lids. 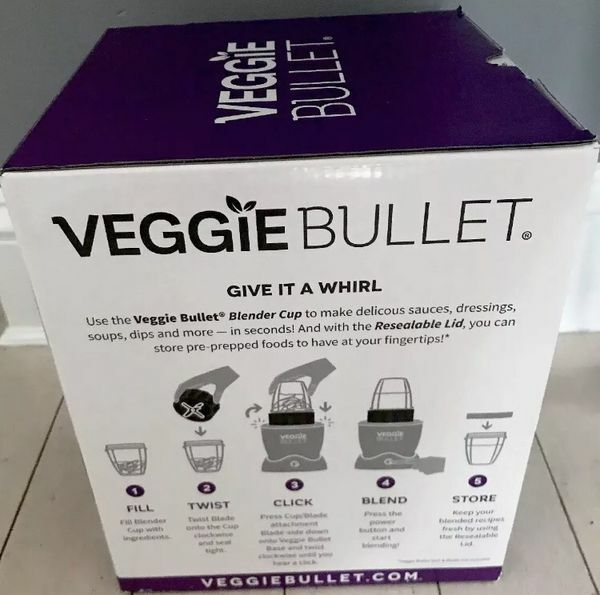 To be used with Veggie Bullet blender.